Rabenholz wakes up to the sound of a klaxon. Last he remembers, he was on the mountain, but now he’s slumped against the wall of a stark metallic corridor pocked with scorch-marks. The light pulses in tune with the warning alarm echoing off the walls. After a moment, he gets carefully to his feet, but something jerks him off-balance. His left arm is fused directly into the wall. Frowning, he tests it with a gentle pull. It’s stuck solid, but at least he can feel his forearm and hand still attached somewhere within. Laying his free hand against the wall, he object-reads it to get a sense of its property. The entire thing is made of primium. Rabenholz looks around. The klaxon is still shrieking, but so far there’s been so sign of anyone else. Resignedly, Rabenholz draws his cane sword and slices off his arm. Vitae oozes down the metallic surface and drips slowly from the stump, but he ignores it. Gathering his cloak away to avoid staining it, he goes to explore the corridor. Smooth metal and more scorch-marks greet him as he makes his way down the sweeping halls, but there’s still no sign of life. After the first corner, he finds a humanoid corpse crumpled against the wall, but it’s so badly charred he can’t find any identifying marks. He takes a careful sniff of the air wafting off it. The burns smell like balefire. Drawing his sword again, Rabenholz slices off the corpse’s left hand, then holds it up to his own wragged wrist. The flesh attaches wetly, then–after a burst of focus–healing energy flows down the entire arm and morphs the burned hand into his own. Rabenholz flexes it once, examining it in the pulsing light. She stares at Rabenholz and the burnt corpse at his feet. After a moment, she shifts the gun to one hand and holds her free wrist up to her mouth. “This is Lt. Dawson in zone-238. I have an intruder here, but not the primary.” Dawson looks at Rabenholz again. There’s a small glint in her eye. Blue electronic symbols briefly spider across her cornea. The sound of approaching planes gets steadily louder. All the werewolves at the ritual site stop, sniffing the air. The old woman glares at the sky as if the sound itself offends her. Perpenna affects a similar scowl. “Deal with this,” he barks at the woman, gesturing to Gavril. The shadows rise to swallow him up and he disappears. As soon as he does, though, the tendrils binding Gavril disappear as well. The old woman doesn’t notice, focused as she is on the ritual. She spreads her arms, sweeping the skin-cloak wide, and resumes her chant. Gavril remains motionless on the altar, trying to avoid drawing attention, but he risks turning his head to the side. Under his breath, he makes soft clicking noises toward the treeline. Nothing responds immediately and the only sound in the air is the werewolves’ chant and the distant drone of aircraft engines. Then, from the shadows nearby, a subtle undulating click in reply. –But even they hesitate as Neshka suddenly erupts from the treeline, razor-lined jaw spread in a roar. Gavril throws himself at the saddle, grabbing for purchase against scale and bone as Neshka wheels and snaps at their approaching foes. Finally he seats himself and, turning to face the werewolves, raises a hand. An icy blast of arctic wind is summoned from the sky, blasting the werewolves head-on. They hold their ground, but it’s enough to temporarily disorient them. Gavil uses the distraction to urge Neshka into the darkness at a full run. Moments later, with bone-curdling howls, the werewolves follow. Rabenholz nods. “Heydrich is a consierable foe. I have no idea what magic he used to bring me here, I’ve never seen anything like it. He taps at a complex polygonal logo embroidered on his uniform. “We’re a division of the Void Engineers, part of the Technocracy. The purview of our organization is to prevent this exact thing from happening and yet Heydrich just cut through my ship like a block of cheese.” He shakes his head. “This is one of the most powerful Nephandius I’ve ever seen, and I have a great deal of experience with them. Sterling turns sharply and disappears down the hall. After a moment Rabenholz follows, escorted by the other mages. “A concerning development,” Rabenholz replies politely. Sterling punches a few numbers into a keypad next to the door, followed by a few more arcane gestures. The doors slide open with a muffled groan of damaged machinery, but slowly. After a moment, Sterling grunts impatiently and slips through the half-opened gap. Rabenholz follows and finds himself in a massive hangar-bay. The sleek ships within it, though, are shattered and broken, and more scorch-marks dot the wide, polished floor. “If they are trapped, how is it they can they get dragged into our reality?” Rabenholz asks, still following. Sterling glares at him and makes a gesture in the air above a glass tabletop. An image suddenly appears, floating in the air above it. It shows an object with the graceful, swooping lines of what can only be a spaceship with V.E.S Pythagoras painted on the side. In front of the ship is something…odd. A fragmented, fuzzy shape, obscuring the backdrop of stars like a growing migraine attack. Sterling pauses mid-roll. The tension in the room suddenly spikes. “I don’t have that many crew left,” he says, watching Rabenholz carefully. Behind him, his men almost imperceptibly begin reaching for their guns. “You can’t synthesize it?” Rabenholz asks calmly. Over the next hour, the Void Engineers secure a supply of conjured blood, which Rabenholz deems satisfactory. Sterling, though, is the only one who remains in the room while Rabenholz drinks it. –Then, without warning, a burst of painful light as he flies into the storm. Anstis eventually comes out of the Rotshriek frenzy caused by drinking the mage’s blood, finding himself alone and almost at the base of the mountain. He stands a moment, disoriented, trying to figure out what to do. He gropes for it. “Aye?” he answers. “I have every faith,” Orlando says with a chuckle, then hangs up. Anstis tucks his phone away. Something taps his shoulder from behind. Two cthuloid monstrosities the size of double-decker busses loom behind him. Leviathans of flesh and tentacle and mouth, their appendages writhe idly against the ground. The one extended to tap on Anstis’s shoulder ends in a fanged maw, which hisses at him as he stares at it. Hundreds of eyes of all sizes blink down at him from the main bodies of the monsters. Behind them stretch a path of torn foliage and broken trees all the way back down the mountain. Anstis bows to them. The mountains of flesh quiver back. “Follow me,” Anstis says, then drops into parrot form. He bursts into the air and into an ascending flight path up the mountain. The vozdt follow, crawling along the ground, digging up terrain in their wake. “Please, call me Doc. What brings you out on this…fine day?” He glances up at the black sky overhead. The chill creeps higher as a different memory runs through her head: the night Cantor had ambushed her at Esteban’s, and the rage he’d screamed to the night as the bar burned…. Cantor knew of her betrayal. He’d known before she’d even entered the room. In one breathtaking flash of movement, Doc is off the horse and grabbing Scout, holding her arms in an iron grip. She shouts in surprise, defensive reflexes struggling to release themselves, but Doc’s hold is firm. He leans close, staring into her face, then in one movement, reaches up to remove his hat. Her blood bond is gone. Neskha suddenly stops, rearing against the reins, and screams. Gavril struggles to calm her, peering around her armored neck to see. A parrot is flying up the slope of the mountain, over the brush and scattered trees. This is odd enough in itself, but Gavril’s gaze is drawn to the things following it, just barely hidden under the shimmer of obfuscate. Vozdt–so massive they could only be Joyeuse and Durandal, the famed Swords of Orlando–writhing and pulling at the terrain as they haul themselves after the parrot, moving faster than anything such size has a right to move. The parrot squawks as it sees Gavril and banks higher. The vozdt behind it slow, momentarily uncertain. Neshka stands frozen, sides fluttering in panic. Gavril stares up at the monstrosities. Through their veil, a hundred hungry eyes stare back. In a chorus of growls and snarls, the werewolves suddenly burst from the trees behind him, then skid to a stop. The stench of sweat and blood fills the clearing, melding with the air of sickness and rot pouring off the vozdt. Claws and spines flex as the two hosts of monsters stare at each other, with Gavril in the middle, and a lone parrot circling overhead…. A roar breaks the standoff, but it’s not from either side. Gavril looks up just in time to see a plane thunder into view, strafing low across the hillside. Moments later, muffled concussive bursts dot the landscape as dropped canisters explode all around them. Aerosolized silver nitrate boils out into the air. Chaos erupts. Werewolves throw themselves in all directions–some away from the silver, some toward the vozdt. Joyeuse and Durandal meet the latter with a nightmarish array of talons, tendrils, and razor-lined maws. Neshka dances back from the fray and Gavril lets her, momentarily stunned. Until two direwolf-form werewolves–half-blinded by the silver-ridden air–tear themselves from the chaos and lunge at him. Until Neshka barrels into the wolf, knocking it aside. The wolf rolls to its feet, snarling, its half-crazed attention now focused on the pseudosaurian monstrosity circling it. Neshka hisses back, foreclaws spread wide. Before either can attack, though, another nitrate canister lands and explodes nearby, releasing a new influx of silver gas. The wolf shrieks, then turns and flees into the darkness. Overwhelmed by the predatory drive to pursue, Neshka follows, leaving Gavril alone in the dirt. The battle has shifted, moving further downslope, away from the dissipating clouds of silver. Gavril moves to get up, brushing at his cloak, then stops as he hears heavy footsteps behind him. A crinos-werewolf, approaching from upwind, untouched by the battle. It growls low as Gavril notices it. Then, before he can react, it rams a stake through his chest. Anstis circles high over the silver-nitrate cloud as it settles over the area. Real birds erupt from the trees below, climbing toward clear air, but many fall back to earth as the gas overwhelms their delicate respiratory structures. The gas isn’t thick, but it’s enough to obstruct the view of the battle in the dim ambient light, so eventually Anstis sacrifices the safety of altitude to circle lower and check on the progress of the vozdt. Joyeuse and Duandal are living up to their expectations. Blood and flesh fly through the air as they writhe and attack. Enraged werewolves dart around their bulks, snapping at whatever structures they can find, but those too slow or unwise enough to dash away again are grabbed by the flailing tendrils and pulled into massive, gnashing mouths. Other appendages wield entire tree-trunks as weapons, scything them through the milling packs as smaller openings in the flesh shriek defiance. The sounds of the creatures and the howls of the wolves are a hellish choir of rage and destruction rolling across the mountainside. –Then a munitions-blast almost knocks him out of the sky. Anstis falters briefly in the air, instantly healing his singed feathers, and scans the ground. Everything below is organic with no sign of complex weaponry. Confused, he wheels to scan the sky instead. A four-masted ship is sailing high above the clouds of smoke and silver, mist pouring over its deck like waves, its bow slicing the air like a saber. Any confusion from seeing this strange sight is rapidly forgotten, though, as Anstis sees the figure laughing from the foreword decks. –But a gust of wind blasts him backward, direct into the line of fire. Anstis shifts into mist-form just as the cannons discharge a volley. Cannonballs sail through the air, stirring a new upwelling of silver gas to obscure the ship. By the time the gas settles again, silence has fallen and the ship has disappeared. Still a sparkling mist himself, Anstis hovers, confused. The Anstis-mist twists on itself in irritation. Scout surveys the battle from a further slope of the mountain. Silver nitrate roils over the landscape like fog on the moors, and deep within the gloom the massive forms of the vozdt flail like living extensions of the mountains itself. Howls, and even occasional bursts of gunfire, echo through the air under the unnatural night sky as she watches, unmoved. The phone rings a few times before being answered. “Speak,” Fatima’s voice greets her. “There’s a possibility that our arrangement may come to a head soon,” Scout says. “I am always,” Fatima says, then hangs up. The battle shifts slowly closer as the werewolves pull up-wind–away from the silver nitrate–and the vozdt follow. Scout tucks her phone away and moves to retreat herself when a sudden snap of a stick whirls her attention around. –Then suddenly falls forward to the dirt, exhaling its last growl in one dying chuff. Even in the gloom, the reason is immediately obvious: a two foot silver dagger embedded in the back of its skull. Scout’s gaze, though, is torn toward the sound of slow, rhythmic applause and the sight of a figure stepping from the shadows. Her last instinct kicks in: deference. She stares down at the torn dirt, metaphorically willing herself invisible, though she knows that with him this close and this focused on her he’d know instantly if she tried to disappear for real. Slowly, she forces her gaze up. He’s in dark, simple shirt and slacks today; tailored, though not for him. His smile is still beatific but she can feel something just beyond the intensity of his gaze, something waiting to lend fire. And hunger. Though she flinches instinctively at the thought, her blood bond remains unnaturally silent. “Why are you here?” she whispers. He must feel it too, she thinks. The broken bond. So why hasn’t he reacted? Her nerves sing, telling her to do something, anything besides just standing there and waiting for him to judge her. But even without the bond, she knows any physical action against him on her own is futile. Every trick, every skill she has, he already knows, because he gave them to her. But if Doc is right, for now–for once–he can’t see into her mind. But something else freezes her muscles instead. Fear, and panic, and–most unwelcomely–some amount of shame. “I…want that too,” she chokes out. The shudder climbs higher, now trembling her arms still clenched in his grip. Cantor, though, merely chuckles…. …And pulls her against him in an embrace. Paul wakes up on ashy ground. Instead of the dry, scorched earth of Erebus, though, this dirt is wet and the ash smells stale. He opens his eyes and sighs in relief as he recognizes his location: the remains of the carin on Strawberry Hill, in the middle of Golden Gate Park. There’s a soft moan next to him. Marcus is there too, stirring awake, also looking thankfully in one piece. “Do you think we’re back in the real world again?” Paul asks. “We’d better be,” Marcus groans as he sits up. Overhead, the sky is still engulfed in black. Paul checks the time. It’s barely been half a day since they were last in the Black Spiral Hive. Thinking of that, though, reminds him of why they went to the Hive–and everything after–so he immediately tries calling Sophia. “BECAUSE WE STRUCK DOWN THE JORMUNGANDER, WHILE THE WEAK QUAVERED IN THE DARKNESS!” a voice suddenly booms over the line in the background behind her. “–HELGI ISARNBJORN OGENHERDI!! !” The now-familiar voice booms, then launches into the cadence of an epic tale of battle. “Not that I can see,” she says, pitching her voice louder to be heard over Helgi’s oration. “Uh…noo….” Sophia says with the clear tone of Teenager Lies. Sophia sighs. “I hope so too, Paul.” She hangs up. “A public audience.” Paul pulls out his phone again, this time to check emails and message Gates to send a car. Paul suddenly holds up a hand. From their position high on the hill, he can also see north to the Golden Gate bridge. His Auspex-enhanced vision isn’t as good as Marcus’s, but something on the deck of the bridge has caught his attention: flashes of what looks like gunfire. He focuses harder. National Guard humvees are gathered in the toll plaza on the south end, guns aimed and firing at what’s approaching from the north. An absolute tide of monstrosities is pouring down the roadway–werewolves, fomori, and other unidentifiable things, united in a twisted surge toward the city. As he watches, the gathered host reaches the first of the humvees, overturning them easily as toys. At the front of the crowd marches a massive hyena-headed Spiral Dancer, howling and gesturing commands to the things ranked behind. Even with the distance and the surrounding chaos, Paul recognizes her as the same Spiral Dancer he keeps encountering–the one allied with Reinhard Heydrich. Only now she’s armed with a whip made of chain and barbed wire. “If it helps with the werewolves, I am listening,” Paul says grimly. Just a head’s up, as part of my creative re-editing, I’m doing something unique the next few segments. As might be apparent, Rabenholz and Scout’s are going to overlap for a while in kind of a unique set of circumstances. The tone of it is different from the main threads and jumping back and forth between them breaks the flow somewhat. So what I’m going to do is finish the main threads in this, the “Fire on the Mountain” chapter, then mass-dump all the Rabenholz and Scout scenes into their own chapter, called “Rabenholz and Scout’s Excellent Adventure.” Then when things realign I will interlace them back with the main threads once again. D’awww! ;D Yeah at this point in the game we started to jump around a lot more so not every *character* gets hit every night. On top of that, I’ve rearranged and condensed some things for narrative punch. There will be a big chunk of his arc in the next one though! Spoiler alert, buckle down for some feels. Rabenholz’s adventure should end with a dagger in the back and a stake in the chest. 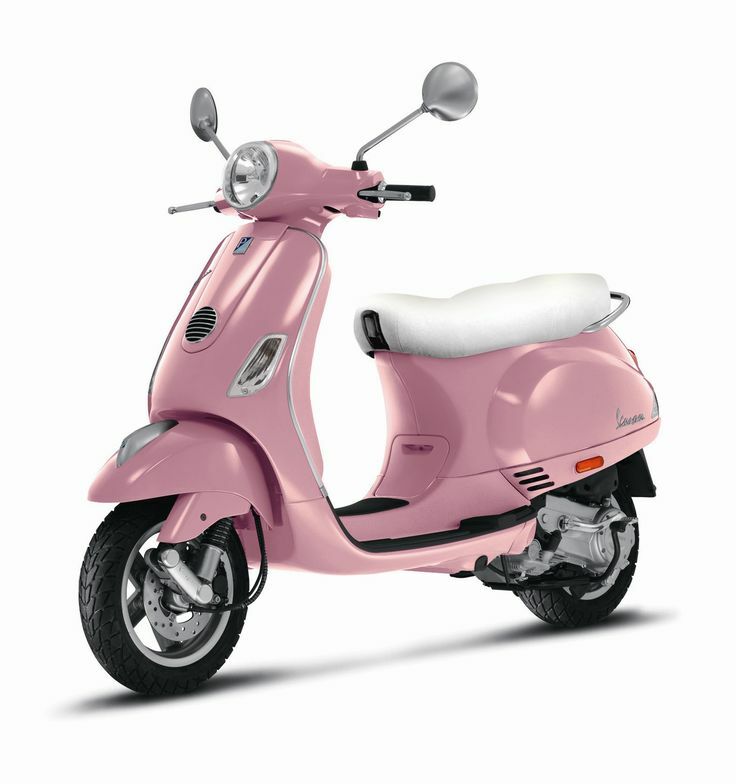 Scout should enjoy a martini with a particular Brujah who drives a pink vespa.